Word for Today: JESUS is the light of the world. 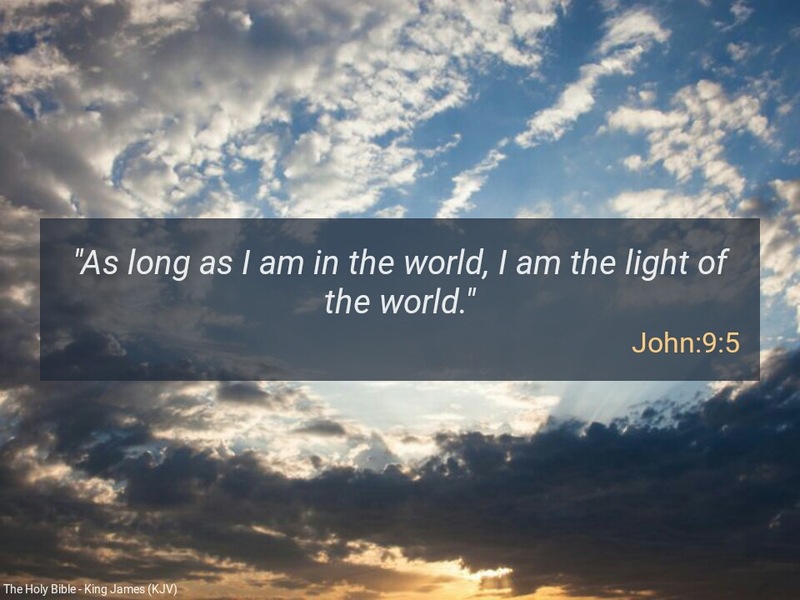 Word for Today : JESUS is the light of the world. Jesus is the LIGHT of this world, in Him is no darkness at all. Jesus is also the Word of God. The more of the word of God you have in your inner man, the more you have access to Jesus Christ. Darkness is terrible. In darkness, your best friend can harm you significantly, without you knowing. Many people are afraid of light because it exposes evil deeds. “Ye are the light of the world. A city that is set on an hill cannot be hid…” ( Matthew 5:14-16). Yes, let your light shine for others to see. “And this is the condemnation, that light is come into the world, and men loved darkness rather than light, because their deeds were evil” ( John 3:19). Dear Father, please help us to experience the fire in your word and to be a true source of light in a dark world in Jesus mighty name. Amen. Dr Ben Bassey is a psychiatrist and a spiritual health counsellor resident in the UK. He ministers the word of God to people regularly through the MOW, WordPress Ministry and Abasi Health Foundation (AHF). He is a true disciple, teacher, evangelist, prophet, missionary, and ambassador for Jesus Christ. He has a passion for the Word of God and is a strong Defender of the Truth. He was baptised in the Holy Spirit on the 10th February 2008. Previous Previous post: Word for Today: Be diligent in your work. Next Next post: Word for Today: Let’s do our work well.